I’ve always insisted that the reason it’s dangerous to feed millions of pounds of antibiotics to cows, pigs, and chickens every year—in part just to fatten them faster for slaughter—is because this fosters antibiotic resistance in bacteria that can then infect human beings—not because there’s a problem with antibiotic drug residues getting into the meat itself. How wrong I was. In a damning report released earlier this year, the U.S. Inspector General slammed the USDA for not protecting the American public. As you can see in the Executive Summary of the report, one of the public safety issues facing the United States is the contamination of meat with residual drugs, pesticides, and heavy metals. These drug and chemical residues then find their way to our dinner plates. But in order to safeguard the nation’s food supply from harmful residue, the USDA, FDA, and EPA are supposed to test for these contaminants, and prevent adulterated meat from entering the food supply. But, based on their review, the Inspector General found that the National Residue Program is not accomplishing its mission of monitoring the food supply for harmful residues. They haven’t even established threshold values for many dangerous substances, which has resulted in contaminated meat being distributed to consumers. And then the USDA’s Food Safety and Inspection Service doesn’t even attempt to recall meat confirmed to have excessive drug residues. What’s the problem with not having safety thresholds? Well, for example, in 2008, Mexican authorities rejected a shipment of U.S. beef because it contained excessive levels of copper. But since we haven’t set a safety level for copper, it was fine by U.S. standards; there weren’t any. So too dangerous to be sold in Mexico, but good enough for U.S. consumers. There are more than a thousand pesticides approved for use in the United States. The Environmental Protection Agency routinely asks the USDA to test for pesticides that everyone agrees has high health risks. But, for many years now, they continue to test for only one type of pesticide, out of more than a thousand. What’s the big deal, though? What potential affects could the drugs and toxic metals in meat have on people? Bleeding, ulcers, allergic reactions, serious nerve damage, severe inflammation, skin cancers, internal cancers, jaundice, kidney failure, neurotoxicity (kills brain cells), and even death. Doesn’t cooking destroy the drugs, though? No amount of cooking will destroy residues. In fact, in some cases, heat may actually break residues down into components that are more harmful to consumers. And then, even when our government finds these drugs in the meat, they don’t stop it from contaminating the food supply. The inspector general noted a case where a slaughterhouse found four drugs—Ivermectin, Sulfadimethozine, Florfenicol, and Sulfamethazine—yet, released the meat from these carcasses into the food supply—despite the fact that consuming these drugs could result in stomach, nerve, or skin problems. But the USDA ordered no recall. Now, the USDA doesn’t actually have the authority to demand a recall—which is a problem in itself. But they can, at any time, ask, at least, the company to voluntarily recall the meat. So when’s the last time they asked a company to recall their meat due to illegally high drug residues? The USDA hasn’t even asked since 1979. And this is not the first time the USDA has been cited for failing to protect the public. This was exposed 25 years ago by the National Academy of Sciences. So what happened? What happened in 1984, according to the Inspector General, is that they signed an MOU. And then, the problem remained unresolved for the next 25 years. So, that’s what we’ve been eating all this time. So what does the Inspector General propose now? #1 recommendation: start from scratch. The government needs to reestablish the National Residue Program so it can accomplish its mission of safeguarding the U.S. food supply. What will be the USDA’s response now? Maybe they’ll draw up another memo. In the meanwhile, if we insist on doing drugs, though our diet, which meat has been found to have the highest risk for contamination? It’s the veal. Think about how they’re raised, you know. U. Jabbar, J. Leischner, D. Kasper, R. Gerber, S.P. Sambol, J.P. Parada, S. Johnson, & D.N. Gerding. Effectiveness of alcohol-based hand rubs for removal of Clostridium difficile spores from hands. Infect Control Hosp Epidemiol, 31(6):565-570, 2010. U.S. Department of Agriculture. FSIS National Residue Program for Cattle. Audit Report 24601-08-KC, March 2010. 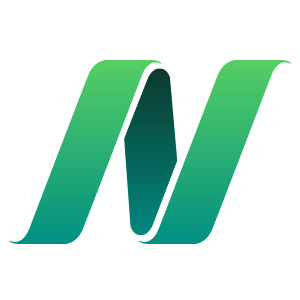 National Research Council. Meat and Poultry Inspection: The Scientific Basis of the Nation’s Program. National Academy Press, Washington, D.C., 1985. Republishing "Drug Residues in Meat"
For more context, also see my associated blog posts: Harvard’s Meat & Mortality Studies; Adding FDA-Approved Viruses to Meat; How To Reduce Dietary Antibiotic Intake; Bugs & Drugs in Pork: Yersinia & Ractopamine; and How Chemically Contaminated Are We? Does eating cumulative antibiotics in the food chain have an effect on one’s resistance to the drug if one has to take oral antibiotics at some time in the future, for example, H.pylori treatment which uses megadose antibiotics in the regimen (HPpac)? 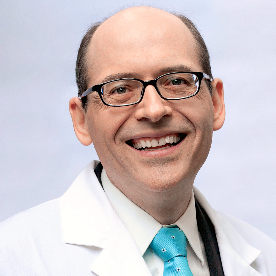 Hi Dr.﻿ Greger. Why veal has a higher risk of drug residues compared to beef? I was thinking that calf liver is less risky compared to cow liver! Veal is a product of the dairy industry – not the beef industry. Dairy cattle are fed enormous amounts of antibiotics because they are prone to more infections due to the conditions that they are forced to endure. And they are forced to endure those conditions for years longer than beef cattle are. So, they are accumulating more and more antibiotics in their systems over a much longer time frame. Their offspring are going to have a higher accumulation in their bodies as a result. Hi Dr.﻿ Greger.glad to meat you ther is a matter that im dealing with it for a long time.&its that why herbal antibiotics are nt use in veterinary medicine?& if its used do u know where and how?because in that way we will not have any antibiotics residue in meats .am i right?thanks a lot. Good Day, Is it possible that Nandrolone is found in meat products found in South Africa, specifically dried meat referred to as ‘biltong’..